A popular trend in today’s modern kitchen is the blending of metals and wood. A prime example of this is the use of aluminum doors on select cabinets. 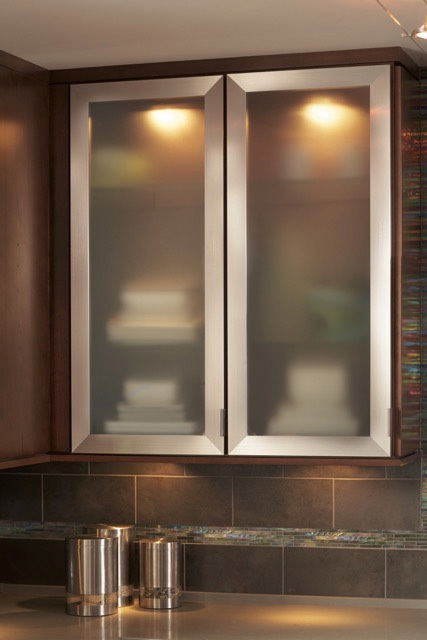 Great Northern Cabinetry has added two styles of aluminum-glass doors to our offerings. Each is available in stainless steel or anodized aluminum finish with your choice of clear or satin glass. See Mullions & Glass Doors for more information. Two new styles have been added to our selection of door styles. These are a great fit for contemporary and transitional designs. Both styles feature square flat panel designs each with unique framing profiles; Arlington’s profile has a slant while Pennington has a two-step profile. See the Door Styles section or your nearest dealer for more information. 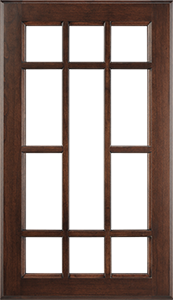 Many of our door styles have a 2 ¼” or 3 1/2” frame. Now there is a new option that falls in-between those two sizes for that ‘just right’ look. This new Grande option features 2 ¾” sizing creating a slightly heavier frame reducing the size of the insert panel in comparison to the traditional styles that have the 2 ¼” frame. 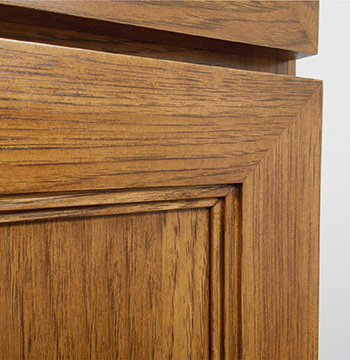 This Grande option is available on many door and drawer front styles. Shown here is Woodbridge-Grande. See your local dealer. for more information. 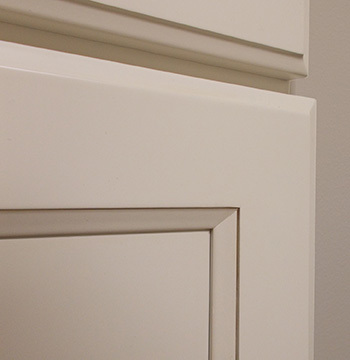 Mullion doors can lend an attractive decorative accent to cabinetry and create a striking focal point. 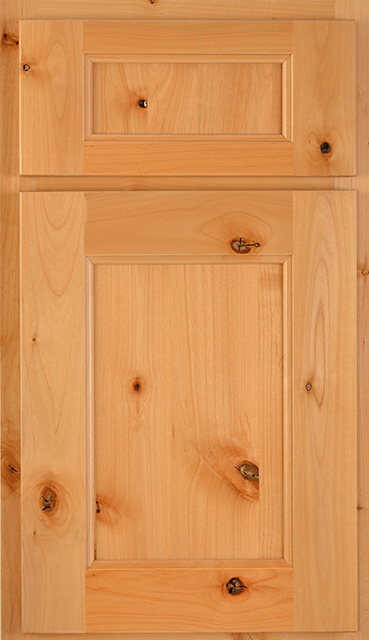 Great Northern Cabinetry is pleased to announce the offering of a new mullion door style called Grandeur. 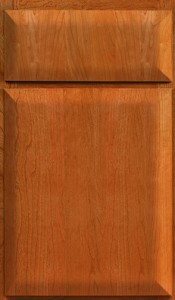 Grandeur can be used in conjunction with a variety of door styles to enhance and personalize your new kitchen. Visit one of our authorized dealers to find out more information on our entire collection of mullion door choices. To locate a dealer near you, click here. 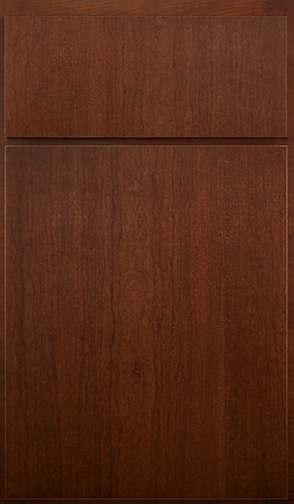 Veneered slab style doors are commonly chosen for contemporary settings for their clean lines and sophisticated look. Great Northern Cabinetry is delighted to offer two new door styles for you to choose from to create your unique contemporary design. Metro and Fusion are wood veneered door styles that are available in five wood species with harmonizing vertical grain drawer fronts. The Metro style features sleek square edges while Fusion has a fashionable pillow edge design. Why not let one of these new door styles inspire your next project.